It’s very likely if you’re a gamer in your 30’s like me, that you’ll remember Sega’s 1986 smash hit OutRun very fondly. Putting you behind the wheel of a beautiful red Ferrari Testarossa Spider with a lovely blonde lady by your side, it was a simple game that challenged you to race through multiple scenic locations against the clock, with multiple branching routes allowing you to determine the game’s difficulty. It stands to reason that its timeless gameplay resulted in many sequels and spin-offs over the years, but since 2009’s OutRun Online Arcade there’s been zilch, nada. In fact, you can’t even buy that anymore due to the expiration of SEGA’s contract with Ferrari. 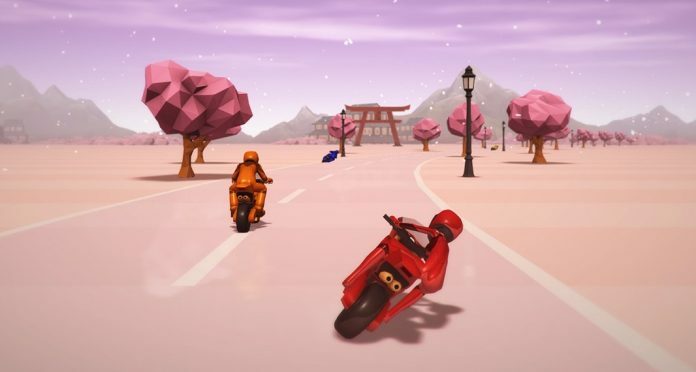 Here to attempt to fill the empty void left by OutRun’s recent no showing though is neko.works, presenting us with their new retro inspired title Super Night Riders. Essentially, Super Night Riders is OutRun without the branching paths and the pretty blonde passenger. It’s also bereft of the shiny red Ferrari too, replacing it instead with a shiny red brandless motorcycle. Already then, you should be forming an idea of how basic Super Night Riders is. There are no complex game systems, no realistic physics, and not much in way of diverse content. But thankfully, its gameplay is addictive enough to keep you going back for more. Speeding along roads in a variety of rather empty yet pleasingly stylised environments, Super Night Riders challenges you to avoid other riders and master its corners in order to beat the clock for glory. Whilst two game modes are available, Course and Stage, they are both basically the same but with different scenery, so don’t go into the game expecting any gameplay variety. 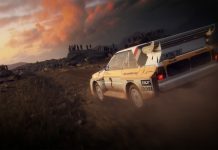 Course mode is the main attraction of the game, allowing you to progress through six courses each consisting of one section from the game’s six stages at various times of day. 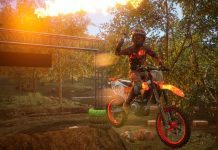 Those who conquer the initial six courses can then take on the ultimate challenge of a gargantuan run through all six stages under all six lighting conditions; that’s 36 checkpoints worth of tense riding that is sure to test anyone’s skill. Stage mode plays exactly the same of Course mode but with one difference: starting with just the first Forest stage unlocked, you must race through all sections of the stage spanning a full day/night cycle to unlock the next. 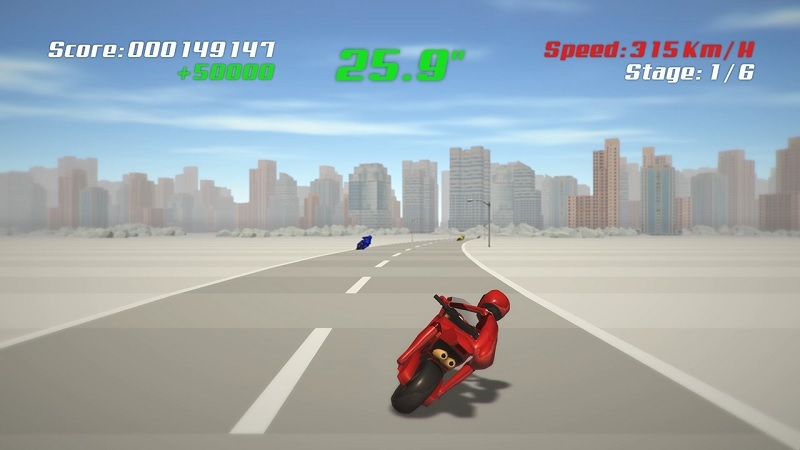 The rest of Super Night Riders’ stages; desert, city, canyon, valley and Hanami don’t particularly offer any more of a challenge apart from the odd sharp bend or two, but the time you get to complete them gets less generous as you progress. 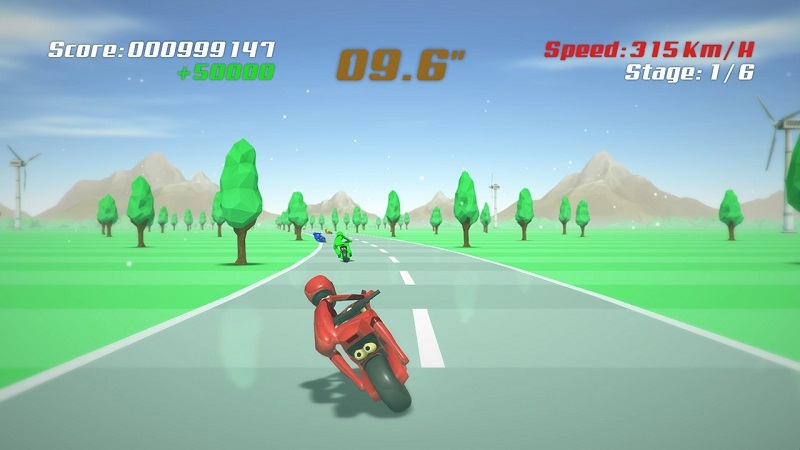 In fact, whether playing Course or Stage mode, Super Night Riders’ difficulty could become rather frustrating very fast for some players. 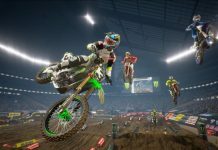 As you reach the later stages and courses, time is that limited that just one or two collisions with other riders is enough to put an early end to your efforts. If it all gets too stressful there is an easy mode however, but enabling it stops you from earning achievements, and any progress made is separate from normal mode. Presentation wise, Super Night Riders is nothing to write home about, but it is quite nice on the eyes. 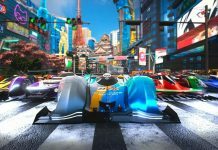 Textures are almost flat but very colourful, and the distant view is like a cartoony cardboard cut-out; it all comes together to very much capture the essence of old retro racers which suits the gameplay perfectly. It runs well too, at least for the most part, with some less than frequent framerate hiccups spoiling the experience a little when transitioning between checkpoints. Whenever you begin a stage or a course you get to choose which of the game’s four music tracks you want to accompany the action too. Whilst it’s a small choice, each track is rather good in a repetitive retro kind of way, and they serve to drive your attempts to success very well. For those who do manage to conquer all of Super Night Riders’ courses and stages – which could take as little as a couple of hours if you’ve got the reflexes of a ninja, but it’s likely to take most people considerably more – the inclusion of online leaderboards adds much needed longevity for those that like to display their gaming prowess and push for high scores. 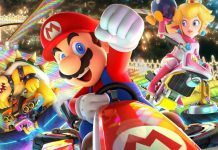 With points awarded for speed and getting close to other riders when passing them too, only the riskiest of racers will prevail. Despite its simplicity and lack of content, there’s something strangely addictive and compelling about Super Night Riders, something that draws you to it even though on paper you know it’s not very good. 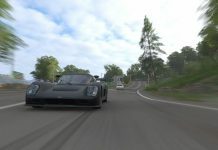 All in all then, those looking for a game that showcases the power of the Xbox One or an experience with depth are unlikely to find anything here worthy of their attention, but those with fond memories of arcade racing games of old that provide short, sharp, addictive gameplay are likely to find something to enjoy. Super Night Riders certainly won’t stick in your memory like OutRun, but it will at least go some way to satiate the same gaming desire. Super Night Riders is available on PC and Xbox One. We reviewed the Xbox One version.